From our family farm in Cazenovia NY to you! Are you looking for really good food for your family? We know how it feels, we started there too. 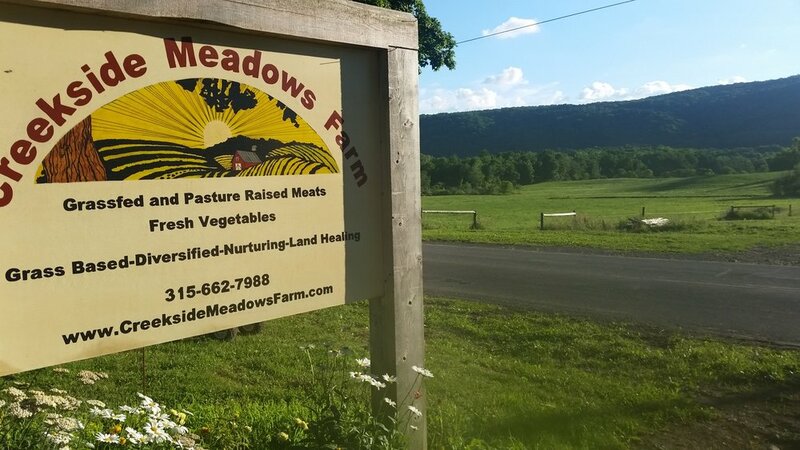 We slowly grew our farm from a little homestead raising our own food to a sustainable family farm business raising food for our wonderful customers. We grow food for flavor, it’s what hooked us with our first garden as a couple and first grass fed steak. We noticed how food from our land tasted so much better than anything we could find elsewhere. It had us wondering why and so began this journey. We know you’ll taste the difference too. Come along with us. We are about quality not quantity that’s why we only sell what we raise or make on the farm. If we don’t raise it we don’t sell it, if we didn’t make it we don’t sell it. It makes it truly from the farm to you. Our roots go deep down in the soil and our leaves reach high for the sun. Thank you for joining us. Look for a welcome email in your inbox to complete your sign up. Check out where you can find our meats and more!